​​Austin – May 24, 2017, Gemalto (Euronext NL0000400653 GTO), the world leader in digital security, has received the Élan Award for Card Manufacturing Excellence for its newly implemented Maryland’s driver’s license and identification card. The award, presented by the International Card Manufacturers Association (ICMA), honors innovative card manufacturers, personalizers, issuers and suppliers that support a commitment to design quality, technical innovation and the future of the global card industry. As part of the complete solution, Gemalto provides an innovative new look to the DL/ID card with unique, specially printed homages to Maryland’s culture such as the state flag, the blue crab of the Chesapeake, and the Baltimore Oriole, the official state bird. The Maryland Department of Transportation Motor Vehicle Administration also selected polycarbonate as the material of choice for state-of-the art security features to protect against identity fraud, including laser-engraving, enhanced tactile effects, and a fused inner structure that makes replication or tampering virtually impossible. Law Enforcement prefers the feel of tactile elements such as the Botany Cross repeated on the face of Maryland’s new driver’s license. Serving as a de facto ID document for many Americans, the driver’s license can be used in many states to buy firearms, open a bank account or travel on domestic flights. Therefore, states require a solution that is secure, reliable and affordable while also tailored to meet individual state requirements. In identity documents, polycarbonate makes it possible to incorporate a significant number of additional security features inside the document similar in effect to watermarks on bank notes. 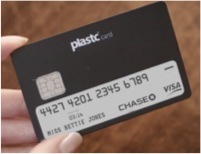 A polycarbonate identity document is created by fusing together multiple layers of polycarbonate in a glue-free process, using temperature and pressure to ensure the upmost security and a 10-year card life. Security features are even more necessary to provide a seamless and protected experience since the passing of the REAL ID Act in 2016. For example, starting in January 22, 2018, citizens with a state driver’s license not yet compliant will need to show an alternative form of identification for domestic air travel. Luckily, Maryland citizens won’t need to worry. The star in the upper left-hand corner of their card proves REAL ID compliance and will allow then to use their driver’s licenses or identification cards as usual. Washington – Le ministère de la Sécurité intérieure a soumis un rapport au Congrès qui détaille les menaces actuelles et émergentes pour l’utilisation des appareils mobiles par le gouvernement fédéral et recommande des améliorations de sécurité dans l’écosystème des appareils mobiles. La direction de la science et de la technologie DHS (S & T) a dirigé l’étude en coordination avec l’Institut national des normes et de la technologie et son Centre national d’excellence en cybersécurité. Mandaté par la Cybersecurity Act de 2015, l’étude sur la sécurité des périphériques mobiles reposait sur les contributions importantes des fournisseurs de l’industrie mobile, des transporteurs, des fournisseurs de services et des chercheurs universitaires.